There are several trails wonderful trails around Percy Priest Lake good for nature viewing, hiking, mountain biking, archery trail, and even some horse riding. These trails are beautiful and should be explored by any nature lover. How does a tree grow? This trail is an 18 mile equestrian and hiking trail that runs along the shoreline from Walter Hill Dam to Nice’s Mill Recreation Area. There are access points at East Fork Recreation Area and the North Murfreesboro Greenway trailhead off Central Valley Road. The Lake Trail around Couchville Lake is paved surface, barrier free, and is a self-guided nature trail. The Nature Loop Trail and Inland Trail located at the Couchville Area, and the Point Trail at Bryant Grove, are popular short walks. The 4 mile long Bryant Grove Trail connects Bryant Grove to Couchville. The Deer Trail is one mile long and located behind the visitors center. At the Bakers Grove Primitive Area, there is a 4 mile Day Loop Trail and the 6 mile one-way Volunteer Trail. If you are looking for a mountain biking trail around Percy Priest Lake, you should visit the Hamilton Creek Recreation Area. There is an 8.5 mile mountain biking trail to ride in this area managed by Metro Nashville Park and Recreation. The 6 mile Pinnacle Trail is rated hard-intermediate to expert rider while the 2.5 mile Lakeside Trail is rated hard-beginner to intermediate rider. Please do not ride trails when wet. This trail is located in the Anderson Recreation Area and includes parking and trailhead. 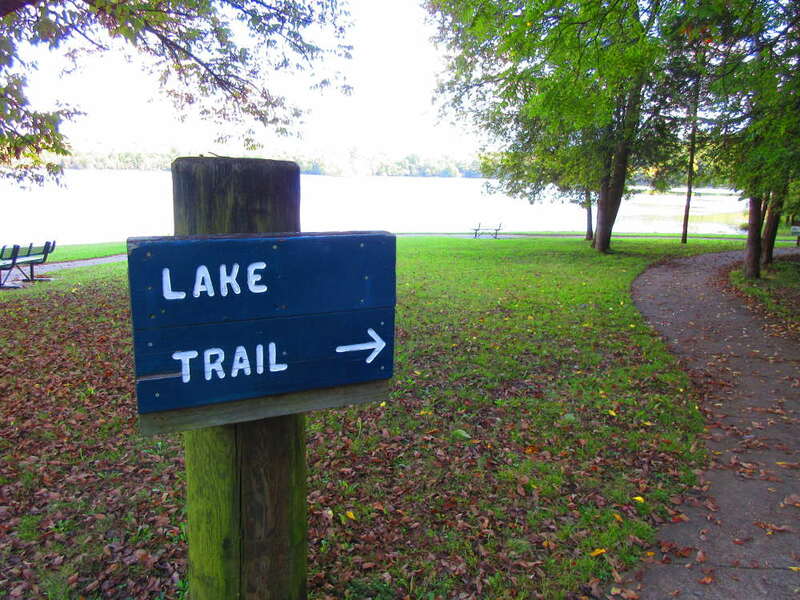 The 1.2 mile long trail winds through a cedar glade area beside the lake. This is a 0.3 mile long trail designed with targets in the woods for archery practice. There is a small shelter and some archery targets at the entrance of the trail.